There is something about kids and trains. There is a fascination with the trains, tracks, the engineer and the passengers. It really captures their imagination and their enthusiasm brings out the kid in all of us. 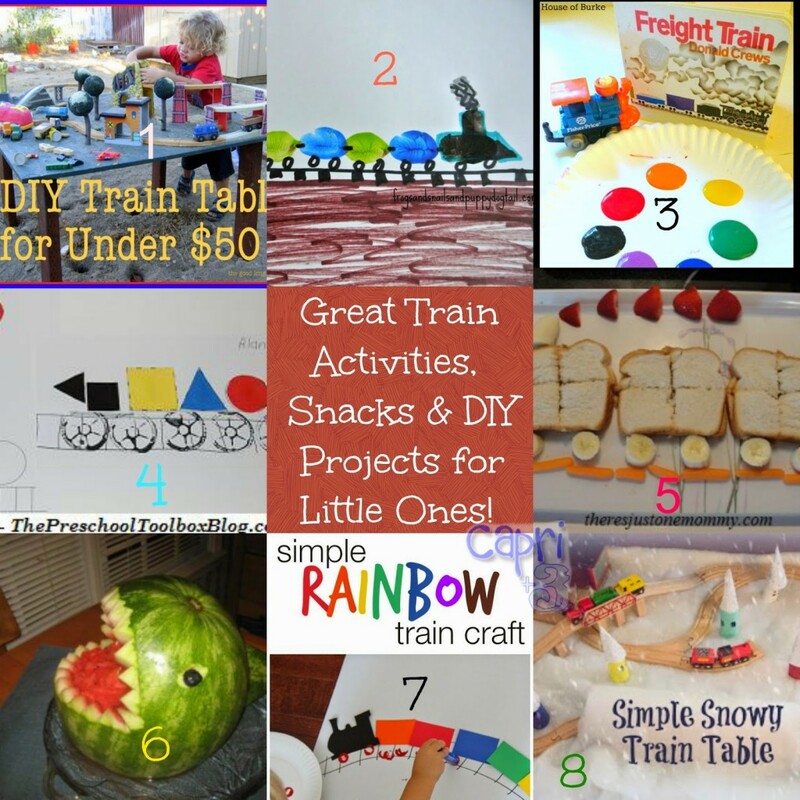 If you are looking for train activities, I’ve got you covered! 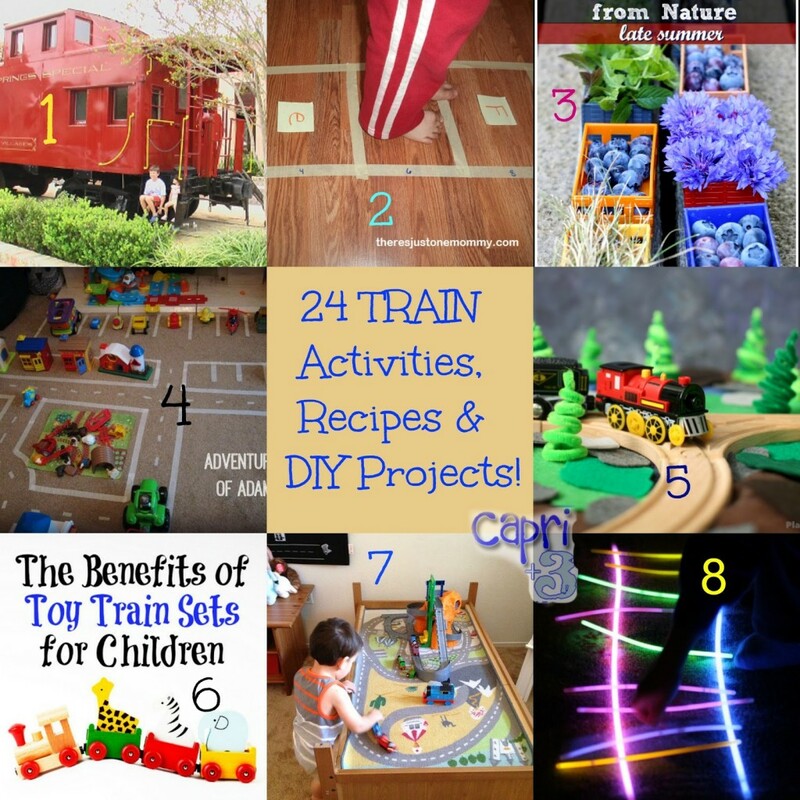 I hope you enjoy trying these fun train theme activities with your kids or students. 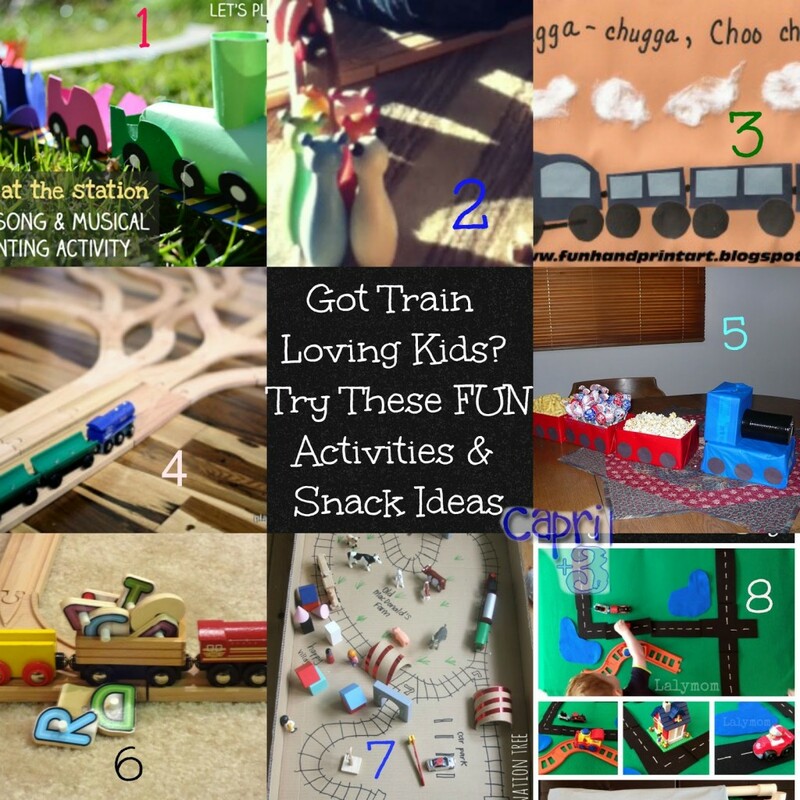 If you want even more train activities, be sure to follow my EVERYTHING TRAINS board on Pinterest! Thanks for hosting this wonderful giveaway! Just entered! There are so many things you can teach with trains. The alphabet, as you mentioned, counting, geography (where the trains go), math (how many cars on this train if two were left at this stop), later science… Choo choo! Thank you for coming by and entering. Good luck! Those are more great ideas for trains! Thank you for sharing. It is amazing how many concepts can be taught using trains as a tool! Love all the train ideas! 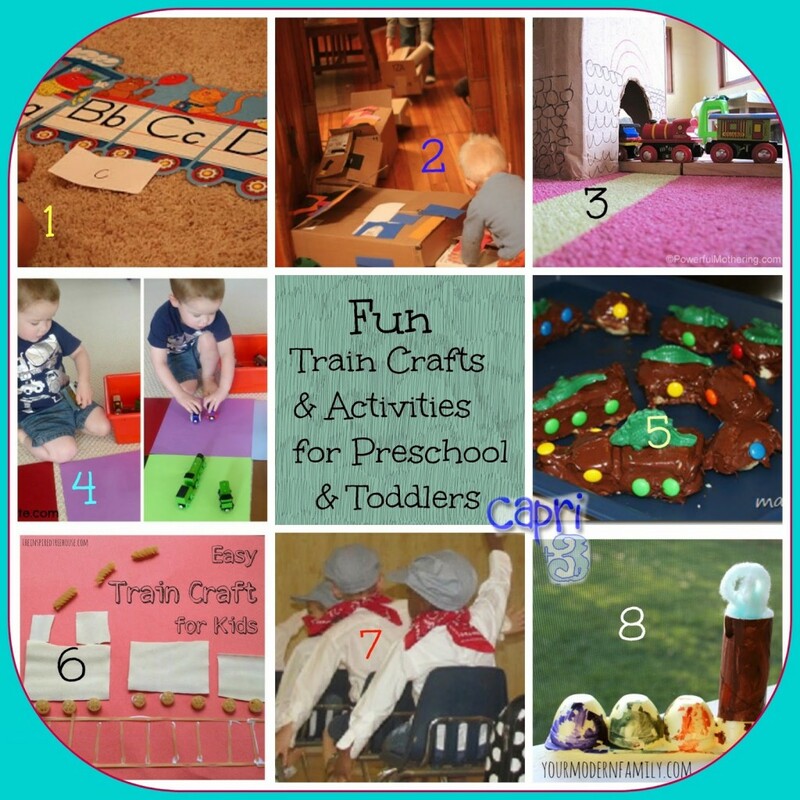 Thanks for adding our Little Red Caboose and T for Train activities to the list! Pinned it to my vehicle board for future use! I loved the snow train table and the small world train table in a box. My three year old will love both! Wow, so many amazing ideas. I love using pasta for play activities. These are some great ideas! Sharing them with others. My nephew loves trains, these are great! Love the train car sandwiches! Trains always have had a interest for kids I think. My son had a little wooden train set and he really enjoyed playing with it. We also too him out to Train Mountain pretty often to ride on the miniature train and we also went on several antique steam train rides. Oh my God I love the visuals! Some really creative ideas. Love your website!! The Shark Melon sounds great! Every child should have a wooden train set! I love this article especially because it focuses on boys activities. I raised my daughter and now she has a son, my grandson. I was not sure what activities he would enjoy. This gave me some marvelous suggestions and inspirations! Love all of these train ideas, my favorite is the Toddler Bed to Train Table, very clever and I could see a few extra years out of that bed. Thanks for sharing. Love the train ideas. I will have to use them soon. Wow, so many activities to keep the little ones busy. Definitely going to have to try the dinosaur cake train! I love that! I love that watermelon! So cute! I like the Cardboard Box Tunnel. My little man would enjoy.